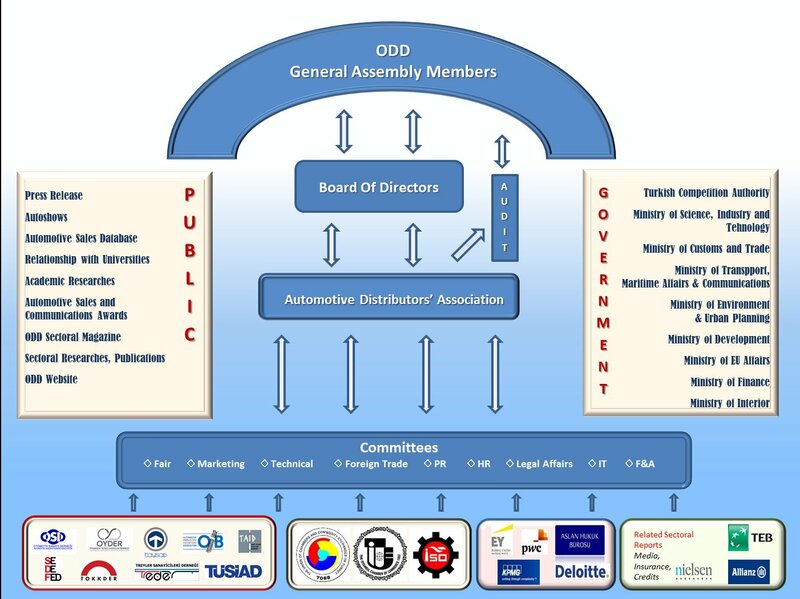 As from 2019, AUTOMOTIVE DISTRIBUTERS’ ASSOCIATION has 29 members that represent 47 international brands. What is the Vision and Mission of ODD? 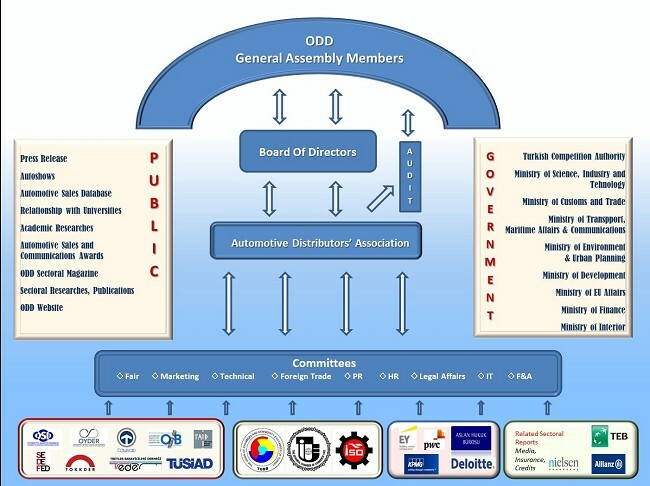 ODD has the vision of providing the continuity and improvement of automotive sector as having the international competitive capacity within the concept of modernity, environmental awareness and social responsibility; and has the mission of representing the members of the association in each region; providing the common needs of the sector, finding solutions for their problems, collecting, commenting and delivering the information about the commercial activities of the sector truly and securely; molding public opinion by conveying the opinions and suggestions regarding the improvement of the sector and society to the parliament, government, international institutions and society through press; providing the pre-competition cooperation among the members and the coordination among the associations related with the sector, if necessary; directly contributing to the formation of the legislation related with the sector according to the EU standards in accordance with the benefit of the members. Who are the Members of ODD? Alfa Romeo, Aston Martin, Audi, Bentley, BMW, Chery, Citroen, Dacia, DFSK, DR, Ferrari, Fiat, Ford, Geely, Honda, Hyundai, Infiniti, Iveco, Jaguar, Jeep, Kia, Lada, Lamborghini, Lancia, Land Rover, Lexus, Maserati, Mazda, Mercedes, MINI, Nissan, Opel, Otokar, Peugeot, Porsche, Proton, Renault, Seat, Skoda, Smart, SsangYong, Subaru, Suzuki, Temsa, Toyota, Volkswagen, Volvo.